The text and screenshots herein are copies of Lytro’s official support articles, provided here purely to help remaining first-generation camera users experiencing problems. We have only included the most relevant support articles for this purpose. What are the specs on the First Generation Lytro Light Field Camera? What does “a constant f/2 aperture across the entire zoom range” mean, and why is that good? What are the specs on the battery in the first generation Lytro camera? What is the focal length of the first generation Lytro camera? What color spectrum does the first generation Lytro camera support? How many living pictures will the first generation Lytro camera hold? What manual settings does the first generation Lytro camera support? Microscopy – Will the Lytro camera work with a microscope? Camera software issues – How do I perform a “soft reset” on the first generation Lytro camera? Camera won’t turn on – How do I perform a “hard reset” on the first generation Lytro camera? 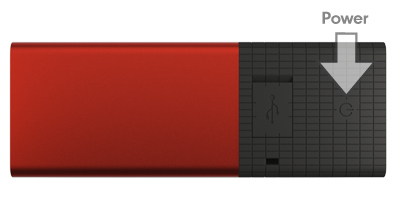 File/Picture Storage: 750 – 16GB Model, 350 – 8GB Model (on-camera), additional free storage on Lytro Web. This optical characteristic of the first generation Lytro camera allows it to capture maximum light across its entire zoom range. The first generation Lytro Camera has a Lithium-Ion rechargeable battery with the following characteristics: 3.7 Volt, 2100 mAh, 7.77 Watt-hours. The first generation Lytro camera battery is not replaceable. With a reasonable frequency of usage, the battery will provide years of service. A single battery charge will allow you to take hundreds of pictures. This applies to the first generation Lytro camera ONLY. The entrance pupil is the image of the aperture as viewed from in front of the camera. The first generation Lytro camera’s entrance pupil ranges in diameter from about 3mm (1x zoom) through 24mm (8x zoom), as a linear function of zoom. The first generation Lytro camera only captures the human-visible spectrum of colors: Red, Orange, Yellow, Green, Blue, Indigo, Violet (ROYGBIV) and intermediate colors. The 8GB models of the first generation Lytro camera can hold 350 living pictures at once in internal memory. The 16GB model can hold 750 living pictures at once. By default, the first generation Lytro camera supports exposure adjustment via the touchscreen interface, which allows you to adjust the relative darkness or brightness of the picture you are about to take. Exposure adjustment only affects the next picture you take. Manual Controls affect all future pictures until you change these settings. 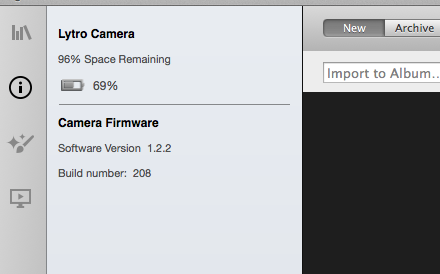 The latest (and last) First Generation Lytro camera firmware is v1.2.2. At this time, no; we are focused on shipping the Lytro camera for the consumer market. Several pictures in a row will not focus at all (no matter where you tap). The camera has taken a jolt, e.g. has been dropped. (The camera will reset itself automatically after the next time it fully powers itself off, but why wait?) Although impact damage is not covered by the Lytro warranty, minor impacts can be easily addressed with the following procedure. Any normal function of the first generation Lytro camera (e.g. 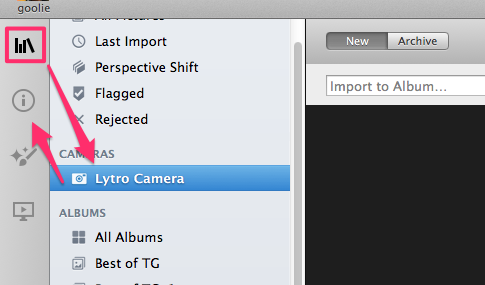 transferring pictures to the Lytro Desktop software) is not working properly. Swipe up on the touchscreen to reveal the General Control Dock. NOTE: On newer versions of the camera firmware (software), you will need to scroll down the menu (swipe up on the touchscreen) to reveal the Reset option. You are also welcome to try a “hard reset” first before contacting Lytro Support. This only applies to the first generation Lytro camera. You are having difficulty charging the camera. Any normal function of the first generation camera is not working properly, and a “soft reset” has been unsuccessful or is not possible. ==> Please follow these instructions exactly; the order and timing are very important! If still no results, perform an “extended hard reset” by holding down the Power button for a full 90 seconds, again using a timepiece to verify duration. 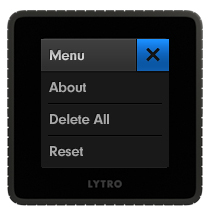 Please check the Windows services to make sure the Lytro Desktop Application Service is installed and running. Go to Start and type Services in the search box and press enter. The Windows Services window should open. 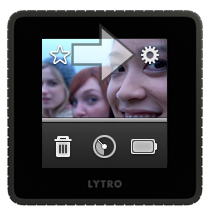 Look for the ‘Lytro Desktop Application Service’. The service should be set to Automatic and Started. If it is not, right click on the service and choose start. NOTE: If ‘Lytro Desktop Application Service’ is not an option in the Windows Services list please temporarily disable any security software you have installed and reinstall the latest version of Lytro Desktop. Once the installation is complete, you can reactivate your security software. If you have any security software installed please temporarily disable it.